Made his debut with Silute (Lithuania), LKAL, during the 2004-05 season. Signed for th e0206-0 season by Laivite Klaipeda, NKL. Signed for the 2007-08 season by Atletas Kaunas. 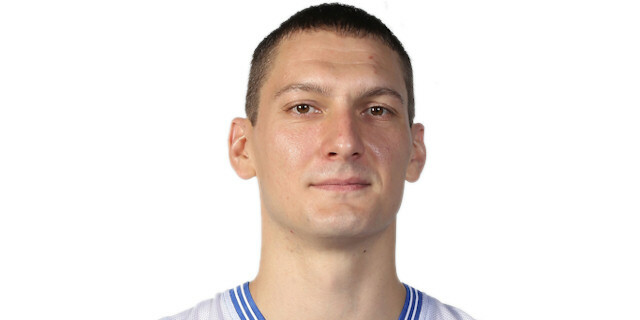 Signed for the 2009-10 season by Nevezis Kedainiai. Signed for the remainder of the season by Panevezys. Moved to Italy for the 2011-12 season, signed by Biancoblu Bologna, Legadue. On January'12 moved to Lithuania, signed by Kedainiai Triobet. Moved to Estonia for the 2012-13 season, signed by Tartu Rock. Back to Lithuania for the 2013-14 season, signed by Peno Zvaigzdes Pasvalys. Signed for the 2014-15 season by Neptunas Klaipeda.